Jaguar XF Running Costs, MPG, Economy, Reliability, Safety | What Car? The XF is a premium product with a premium price, and it’s priced closely to its main rivals. It’s actually a little cheaper to buy outright than the equivalent 5 Series and E-Class, but both of those cars hold their value better than the XF. The lower-powered 2.0 diesel versions have the lowest CO2 emissions in the XF line-up, so they're the logical choices for company car drivers. However, CO2 emissions in the 5 Series, A6 and E-Class are lower, and fuel economy is better. The XF’s petrols, meanwhile, aren’t as efficient as the diesels in the range but are cheaper to buy, so they could be worth considering for low-mileage private buyers. Entry-level Prestige trim isn’t stingy on kit. An infotainment system, heated leather seats, cruise control, keyless start, automatic headlights and wipers, LED daytime running lights and rear parking sensors are all standard. Because it's so well equipped, it's our favourite – but you might wish to dip into the optional extras list to add a couple of things. R-Sport models feature the same kit as Prestige cars but add front parking sensors and more aggressive styling – the latter including black detailing, bigger alloy wheels and a bespoke bodykit. A more luxurious choice is Portfolio, which features all the R-Sport kit (minus the bodykit and sports seats) but adds a reversing camera, keyless entry, 40/20/40 split-folding rear seats and an upgraded 380W sound system. Range-topping S is available exclusively with the six-cylinder diesel, so it costs a lot to buy and isn’t really worth the outlay, because there isn't much extra kit on offer. 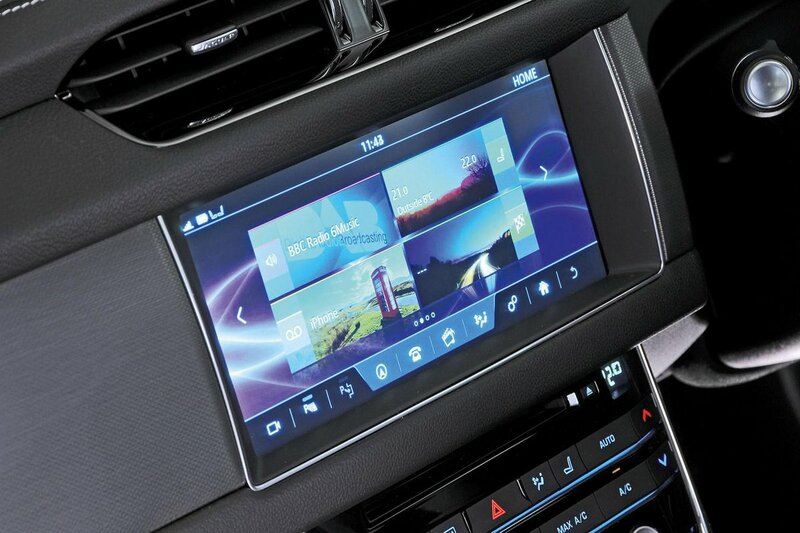 The XF finished bottom of the luxury car class in the most recent What Car? Reliability Survey, below the BMW 5 Series and Mercedes E-Class. Meanwhile, Jaguar as a brand finished a disappointing 28th out of 31 manufacturers in the same survey, below Audi, Mercedes and BMW. Every new Jaguar comes with a three-year, unlimited-mileage warranty as standard that can be extended if you're prepared to pay a bit extra. You can have MOT cover added, too. Every XF gets a host of safety equipment as standard, including automatic emergency braking, a lane departure warning system and six airbags. There’s also an optional Active Safety Pack, which adds driver attention monitoring and a feature that warns you if another vehicle is crossing your path when you’re reversing. 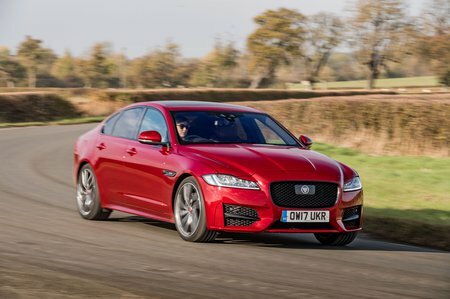 In its Euro NCAP safety test, the XF scored five stars – the same as the BMW 5 Series and Mercedes E-Class. However, a closer inspection of the results reveals that the XF isn't quite as good at protecting child or adult occupants as the E-Class. Scores are almost identical to those of the 5 Series. An alarm and engine immobiliser are fitted to deter thieves. 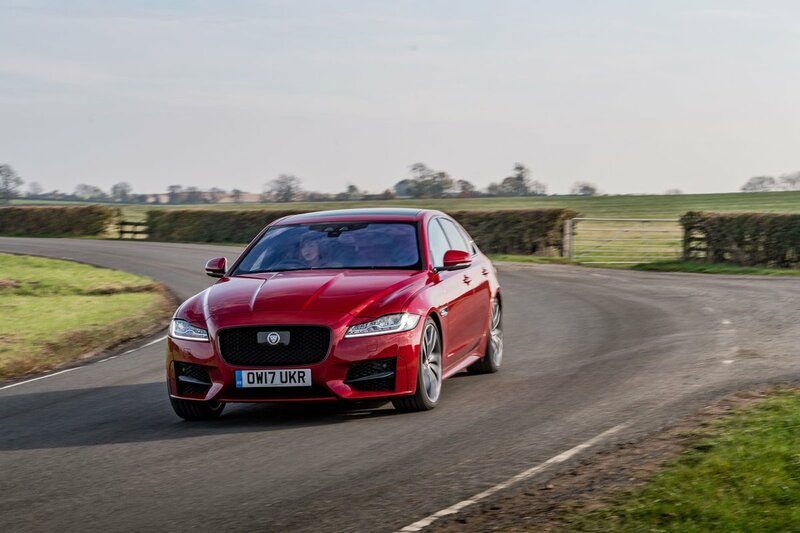 Indeed, Thatcham Research has awarded the XF full marks for its resistance to being driven away and good marks for its ability to resist a break-in in the first place.